Look what the cat brought: Futuristic hunt, last days to apply! Futuristic hunt, last days to apply! 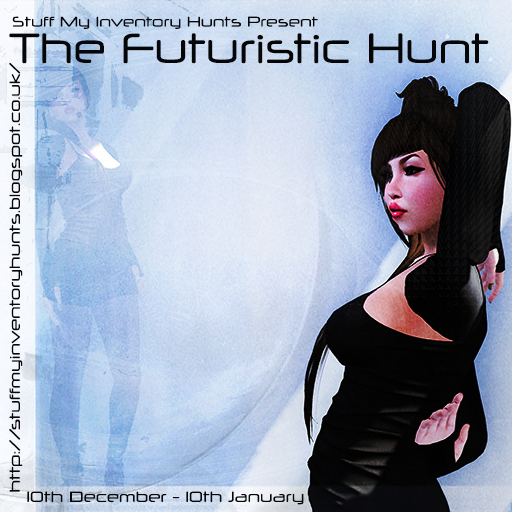 The Futuristic Hunt is a small hunt based on the theme of the future/ futuristic, it will run from 10th December - 10th January. All items in the hunt will be insipred by the future. It is a Grid Wide hunt offering hunters a wide range of items designed just for the hunt. Images of the gifts and hints will all be published on the hunt blog and on Flickr closer to the date. Landmarks will not be in the hunt prims - you can join the inworld group 'Stuff My Inventory Hunts' for a landmark notecard or look at the blog, where the slurls will be posted. Hunt items cost 5L each. Organisers - Evelyn Hartshon & Isabelli Anatine.